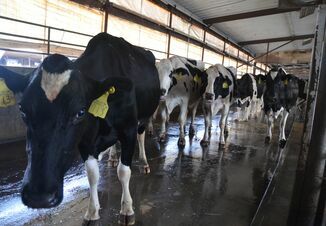 The United States Department of Agriculture made changes to the Margin Protection Program (MPP) for dairy producers within the Bipartisan Budget Act which was signed into law on February 9, 2018. These changes included a new signup for 2018 which began April 9, 2018 and will end on June 1, 2018. It is important to note that the new signup allows producers to make new elections for 2018, even if you had previously signed up that are now retro-active back to January 1, 2018. Producers should also note that if they previously elected coverage for 2018 they must now make a new election they will not have coverage in 2018. Producers will need to register and complete form CCC-782, along with electing a coverage level if they want coverage for 2018. Additionally, a $100 administrative fee will be assessed unless a qualified waiver is available. Revised premium costs for Tier 1 levels. Tier 1 volume was increased from 4 to 5 million pounds. Indemnities are now determined monthly. There is an exemption for the administrative fee for limited resource, beginning, veteran, and disadvantaged producers. 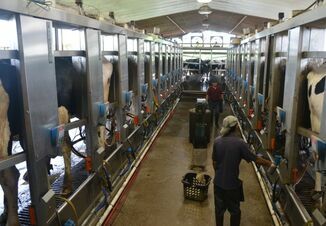 Dairy operators who were enrolled previous to 2018 and paid the administrative fee may request a refund if they qualify for this exemption. To learn more about the revised Dairy Milk Protection Program (MPP) producers are invited to attend the upcoming webinar on May 2, 2018 at 11:30 a.m. CST featuring Marin Bozic, University of Minnesota Assistant Professor in Dairy Foods Marketing Economics. You can register online for the webinar. After you register, you will receive a confirmation email containing information about joining the webinar. This webinar is hosted jointly by Minnesota Milk, Iowa State Dairy Association, Nebraska State Dairy Association, North Dakota Livestock Alliance, and South Dakota Dairy Producers, and the I-29 Moo-University Collaboration. For more information, visit the USDA Dairy Margin Protection Program page or access the Margin Protection Program Decision Tool aid.